This is the documentary short film Skull + Bone. 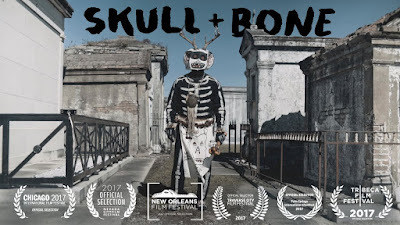 Shot on location in Tremé, New Orleans, on Mardi Gras day 2015 by director Victoria Rivera, it features Bruce 'Sunpie' Barnes and the Northside Skull and Bone Gang. Check out the synopsis and short film below. "For two hundred years every Mardi Gras has started the same way: Dressed as skeletons, armed with bones, The Northside Skull and Bone Gang wake the city before dawn with drums, chants and ceremonial knocking on doors to warn people against violence, gunplay and other negative influences on the streets."